Come and volunteer with us on Saturday the 23rd June at our community planting event. The South Beach Community Group has partnered with the City of Cockburn to undertake planting activities within Barrow Park drainage line to improve park amenity and biodiversity values. The community planting event will be held on Saturday 23rd June from 9am-12 noon and all members of the community are invited. This event is supported by the City of Cockburn and all tools and materials will be provided. Plant selection has been based on using local native species that are best adapted to local conditions, biodiversity values and with a resilience to low watering regime. Vegetation along the Barrow Park drainage line (adjacent to South Beach Promenade) was starting to decline and we have had much feedback from residents requesting that maintenance of the area be undertaken. As a result you have likely noticed that the declining vegetation has been recently removed. Unfortunately, more than we were advised and more than we would like has also been removed which is a real shame. We can assure you though, while it may look sparse now this is just an interim measure! This community planting event is part of the first stage of the Barrow Park playground expansion. An update on the progress of the playground expansion will be coming your way soon! 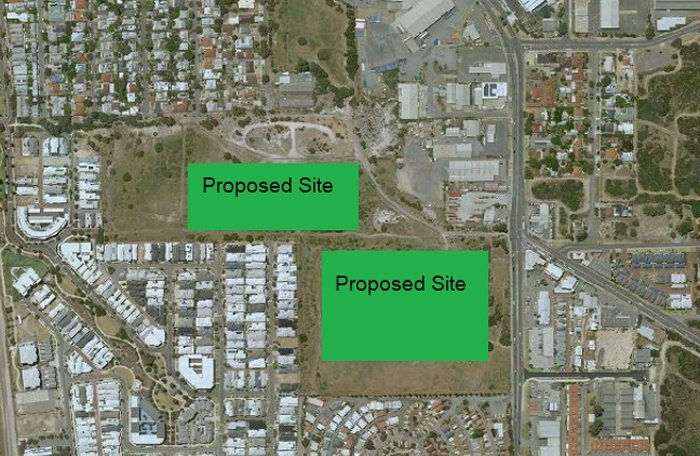 The City of Fremantle is hoping to develop a large-scale solar farm at the landfill site adjacent to South Beach Estate in South Fremantle. The City of Fremantle has had an exclusive working agreement with Australian-based company Epuron since 2015. Since then Epuron has progressed environmental and other regulatory approvals for the solar farm, which would be fully funded by Epuron. Once development approvals and an agreed lease (of 20 -25 years) is in place construction will commence with the solar farm operational by late 2018 or early 2019. The proposed site for the Solar Farm was operated by the City of Fremantle as landfill between the 1930s and the 1990s. During that period uncontrolled fill included domestic, industrial and likely quarantine waste was deposited on the site. Under the Contaminated Sites Act 2003, the site is classified as contaminated – remediation required. The community has expressed strong concerns over potential adverse health and environmental impacts if a clean-up of the site were to occur through a ‘dig out and dump’ approach. In any event, studies show this is not currently financially viable. A management plan for the site is currently in place which includes regular groundwater testing and monitoring of gases which would continue during operation of the solar farm. The Solar Farm will produce up to 4.9 MW of power and is in line the recommendations of the City’s draft energy plan and as well as its One Planet commitment of carbon neutrality for corporate emissions to 2020 and the aim of being 100% powered by renewables by 2025. Epuron has not yet completed final equipment selection for the site, however it is more likely that the solar panels will be fixed in place. There will be negligible noise or movement on the site once the solar farm is operational. Minimal construction disturbance will managed through an approved construction management plan which will detail control measures to minimise dust and noise during construction phase. The Hollis park path way and the landscaping in that area will remain untouched. If you have any further queries, please refer to the City’s website. South Beach Community Group members have been invited to attend a meeting held by our neighbours at the South Fremantle Precinct. The meeting will be held at the Local Hotel at 630pm on the 22 May 2018. Mayor Brad Pettit and council staffers will be in attendance to update residents on the South Fremantle Solar Farm. Cr Jon Strachan from the City of Fremantle apologised that South Beach Community communication has obviously not been sufficient given the number of concerns raised by members of our community. Jon actually lives downwind on a SW breeze of the contaminated site and therefore also has very personal interest in ensuring that the construction of the solar farm does not present a safety risk. He was involved in the original community consultation for the site prior to becoming a Councillor and from that consultation overwhelming community opinion was that no dig and dump on the site was a priority for community. That consultation identified that passive use of the site was the best option; initially a wind farm was considered however a solar farm was established as the best option for the site. Louise Ainsworth from the City of Fremantle outlined the Project timeline and future stages prior to final approval and construction of the South Fremantle Solar Farm. Detailed information including frequently asked questions can be found on the City of Fremantle’s website. Important to note that when queries have been raised with the City of Fremantle, answers have been uploaded to the solar farm FAQ. How come certain amount of planning proposals have been approved without EPA being involved? The planning application is only to grant planning approval; the order of approvals is undertaken in accordance with the planning process. The Project was not originally refered to the EPA as it was not considered to require assessment. However it has now been referred and if the EPA considered it requires assessment it will be assessed. Who is paying for all of this process? This is part of due diligence – City of Fremantle took Epuron on as a partner. Is it correct that a previous company that looked into solar farm but it was too costly? Not aware of that please provide information to City of Fremantle if so. Why was Epuron chosen? The City of Fremantle had ten responses; First Solar was the City’s first choice. After 6 months they decided the proposal didn’t suit them as they have a different model of solar panels. Epuron was second preferred. Access to the grid has also changed and made it easier for private business to access to grid which is another reason that First Solar struggled. How many solar sites are there on a contaminated landfill in residential area? There are solar farms on contaminated sites (around the world) but not aware of which /any in residential area. How is Epuron going to install and manage the site to minimise contamination? Currently in preliminary design phase only. Epuron are currently planning and designing how to manage contamination during construction. The draft site management plan (attached to the planning application) goes some way to determining this. The site management and construction management plans will need to be approved by DWER and its independent auditor as well as the City before construction can commence. Is the large land transaction you have mentioned referring to the lease? Yes. What are the Project timelines; when did the Project start? Expressions of interests were done 4 years ago. Has legislation changed in those 4 years and how can this impact on the Project? The City initially took out an exclusive working agreement with Epuron for 12 months which has since been extended every 12 months. When was the last time a report was publicised on monitoring for the site? Not sure. This information including what is monitored and how regularly is available on the DWER website. Is there going to be a removal of the bund? It is recognised that the bund may be contaminated. Before Eupron can consider removing the bund they need to complete a site management plan and rigorous testing will need to completed. There is already a sampling protocol for this in the draft site management plan – refer to section 5.0. Where exactly is the bund? The bund is located generally in the central area. It borders a flat section which was original planned to be used as a sporting field however this was abandoned due to safety concerns of playing on the contaminated site. The bund was developed to protect a trench containing a pipeline running through the centre of the contaminated site from material collapse. Enjoy a free movie: The Neverending Story on Sunday night, 18 March. Dinner, dessert and soft drinks will be available for purchase from 6pm, bring your cushions and chairs and get ready for the movie launching just after sunset. Coffee will be provided by The Coffee Gypsy and the South Beach Community Group’s stall has soft drinks available by gold coin donation. We’d like to invite you to Barrow Park for our Summer Music in the Park on Sunday, 21 January, 3pm. Listen to the local band The Late Night Organ Donors, meet your neighbours and enjoy our Sausage Sizzle and soft drinks available by gold coin donation. BYO anything that makes your afternoon more cosy and comfortable. High density developments such as Robb Jetty have a place and, in theory, pursue many sustainability goals. However, we believe there are a number of issues we have identified with the development and without addressing these we can anticipate a range of negative impacts on those moving into Robb Jetty – and us. We’re keen to share our concerns to avoid a potential disaster at our doorstep. The Cockburn Coast Redevelopment area in North Coogee accounts for 98 hectare of land between Port Coogee and our South Beach neighbourhood. The Robb Jetty Precinct, just south of Rollinson Road that is currently vacant grass land, accounts for 46 hectares of this area (including Landcorp’s Shoreline development) and is primarily a high-density residential development that will see an incredible population increase in North Coogee between 2017 and 2031. It is estimated that there will be 5000 dwellings and 10800 residents across the Cockburn Coast redevelopment. Of these 2000 dwellings and 5000 people will reside in the Robb Jetty Precinct. The Robb Jetty Precinct already has a number of approved developments including a five-story retirement complex and a number of large scale apartment complexes; all single resident lots within the Robb Jetty Precinct have been sold already. In high density developments public open space compensate for lack of gardens and enable residents to play, exercise and enjoy the outdoors. We know from our neighbourhood how well-used and precious parks and open spaces are with plenty of people walking dogs, playing and having space to meet for picnics and community events. In the Robb Jetty Precinct a total of 6 hectares is allocated to ‘public open space’ within the development. About 2 hectares have already been developed by Landcorp, with half of these functioning also as a drainage line. While these spaces will be greened, they are basically unsuitable for public use. Stages 3 and 4 of the Shoreline development will include an additional 1.6 hectare of public open space east of Bennett Avenue by 2019. All remaining proposed public open space including the only local sports facility proposed for North Coogee is associated with the development of a local primary school. This, however, is not anticipated until at least 2024 and will only be developed when the Department of Education considers there is sufficient demand. Public transport – what public transport? High density developments depend on excellent active transport options for walking, cycling and public transport access. This enables commutes by other means of cars reducing congestion and the need for excessive parking facilities. The Public transport solutions for the Robb Jetty area, is the rapid bus transfer. This service is currently proposed to be implemented by 2050 by the Public Transport Association. This will be the only public transport option available (when it becomes available) and means residents will rely on their private transport to commute for work, shopping or recreation, unless the Public Transport Authority can be successfully lobbied to schedule any service earlier. What is the South Beach Community Group proposing? A neighbourhood sporting reserve to be located on Bennett Avenue opposite Reinforcement Parade on Lot 2108 Bennett Avenue North Coogee. Land to include existing 1.6 hectare of allocated public open space and portions of Lot 2108 proposed for development. Public open space to be increased through removal of Robb Road from Rollinson Road to the proposed Robb Jetty plaza area; Lot 803 Robb Rd North Coogee. Green open space accessible from Rollinson Road, Robb Jetty plaza and via proposed railway overpass. Traffic to flow instead through the Shoreline development along Anchorage Drive onto Rollinson Road. Netball courts and a skatepark to be co-located on a piece of contaminated Crown land adjacent to Rollinson Road carpark on the right hand side when facing the beach (Lot 802 Robb Rd). Based on contamination levels it is recommended that this land be sealed with concrete, let’s make it useful to the public! We are also keen to build a Public Transport Alliance, an interest group comprised of individuals, businesses and other community groups who share the vision for a more coherent and committed planning, development and implementation of public transport facilities and are keen to help lobby State Government. If these proposals resonate with you and motivate you to become more involved, please drop us an email. The 25th annual Power Station Triathlon will be conducted from the old Power Station at CY O’Connor Beach on Saturday November 25, 2017. As with previous years events we wish to inform residents of road closures, traffic movements and also to request your assistance. The event brings some 400 competitors to the event on the morning to compete in a healthy activity. If you have any questions regarding the following information please do not hesitate to contact us. The event is supported by the City of Cockburn and WA Police. The following roads will be closed to through traffic for the duration: ROBB ROAD, ROLLINSON ROAD and BENNETT ROAD. Residents will be able to move into and out of the area if required under the supervision of event staff who will be stationed at corners. We do request your assistance in trying not to move vehicles along Rollinson or Bennett Road from 6.00am to 9.30am. We believe we may be able to open roads at 8.45am. We thank you for your assistance and trust there will be minimal inconvenience. Thank you to all the stall holders, food vendors and visitors who made last Sunday’s event special. A big thank you to everyone who donated unwanted goodies to our stall too! While the visitor numbers were less than last year, we still met plenty of new neighbours and made a little bit of money for our community group. Please join us this Sunday for our final community meeting of the year. Learn more about the future development projects around our neighbourhood: We will welcome a Landcorp representative showing us the Shoreline to the south of our neighbourhood. Sustainability at home: The City of Cockburn’s Sustainability Officer will share the new bin system that may affect some homes. Also, local business Pearthworms will be presenting a new worm farm concept. Open Forum: bring your project ideas and suggestions to make our neighbourhood an even better place to live. As always, volunteers helping with the set-up and pack-up of this meeting are greatly appreciated. Simply arrive 20 minutes before the event and lend a helping hand. The Meeting Place, 245 South Terrace, South Fremantle.